Depth (height) of each mattress is stated on the “Dimensions” tab on the description area. Firmness depends on bodyweight. Personalise your mattress rating below! Depth of the mattress can affect the comfort and suitability for use in certain bed frames or bunk beds. To make the mattress breathable, specially designed air vents are placed on the sides. This aids in keeping the mattress cool and dry. Conveniently located on the sides of the mattress for easy turning and handling. These handles are flag stitched for strong attachment. All our mattresses, toppers and divan beds are manufactured in the United Kingdom to ensure product quality and safety. We do not import materials and products from other regions. Rotate (turn 180°) your mattress every 6 weeks so the head end becomes the foot end and vise versa. The rotatable mattress has one sleeping surface. Most of the time, it has memory foam or a pillow top on its sleeping surface. It’s easy to look after this mattress as there is no need to flip it over. Each individually nested spring is placed in a fabric pocket and moves independently when you lie on the mattress. When two people are on the mattress, neither of them will be disturbed if the other one moves. Mattresses with pocket springs offer more comfort than those with open coil springs. Quilting is sewing two or more layers of fabric together to make a thicker padded material. The quilts are placed on the surface and attached to the underlying filling for comfort. 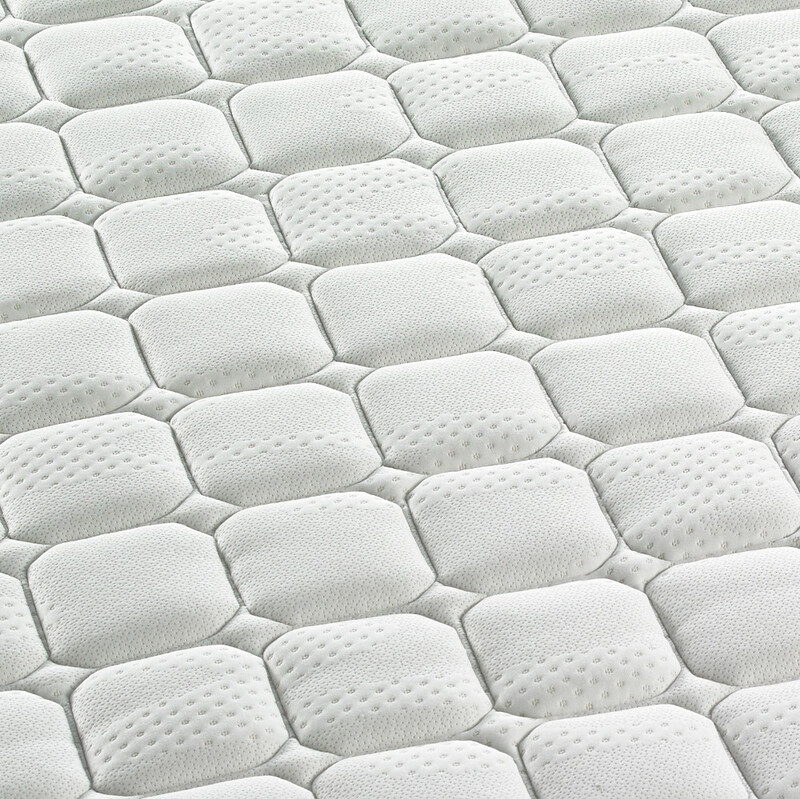 A quilted finish mattress is known to be smoother compared to other finishes. The reflex foam provides extra support. It is sanitised and guarantees complete hygiene. It stores less body heat than the memory foam. A modest choice of mattress that’s both durable and cosy, the Monza Pocket Sprung Reflex Foam Mattress provides sleepers with an excellent means of supporting joints. 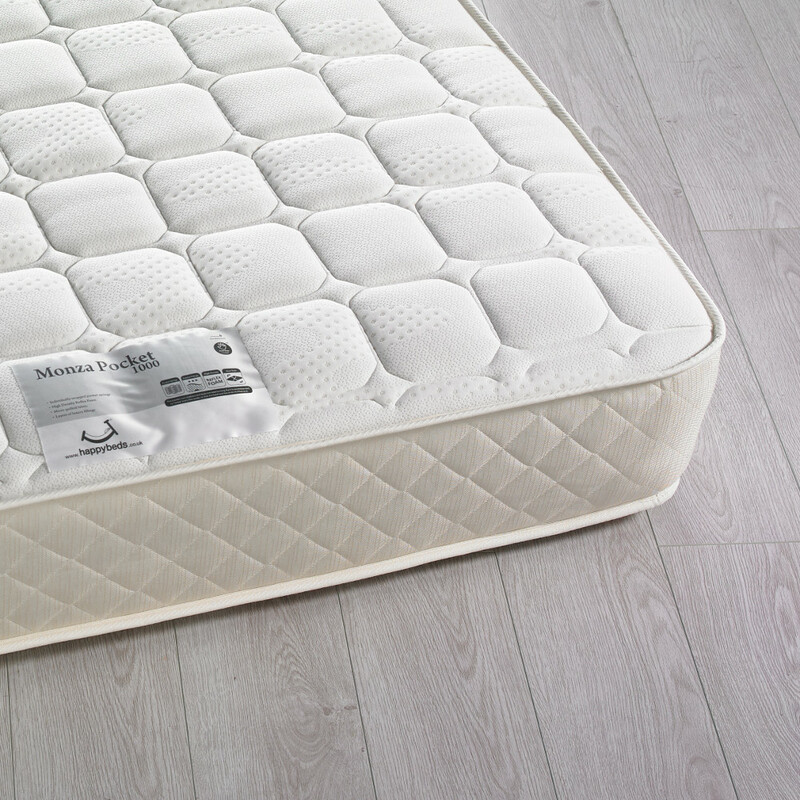 The Monza Pocket Sprung Reflex Foam Mattress is innovatively designed with independently nested pocket springs and a thick layer of reflex foam, making it fantastic for those seeking a reliably sturdy night’s sleep. 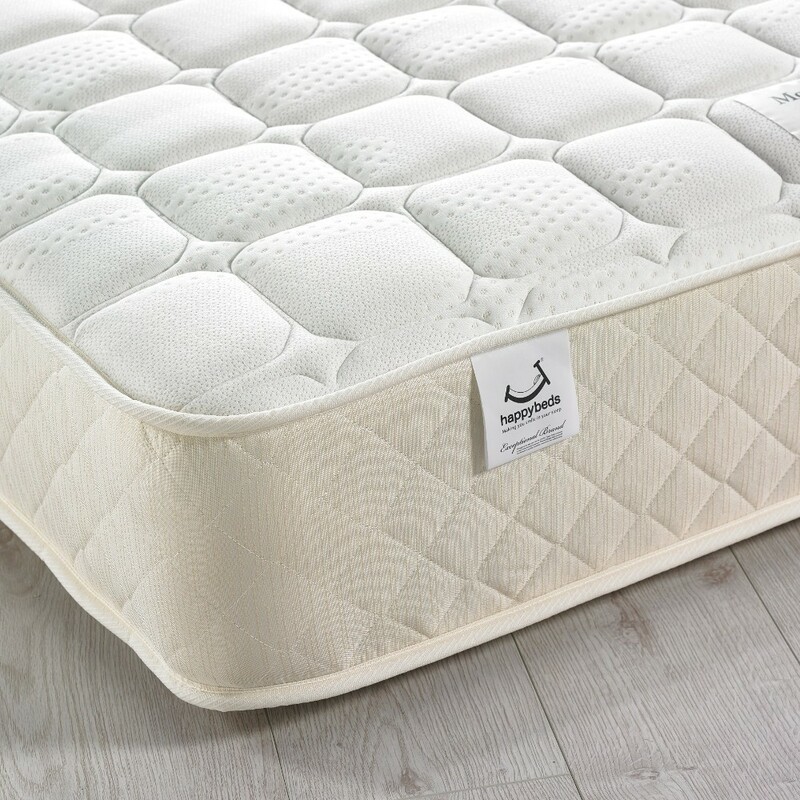 The Monza Pocket Sprung Reflex Foam Mattress is crafted with high quality, classic materials, including accommodating satin pads, robust polyester and rich dual pads. The thick layer of reflex foam also makes the Monza Pocket Sprung Reflex Foam Mattress a wonderfully firm reflex foam mattress, serving as a superb choice for sleepers who require orthopaedic assistance for their joints. Featuring a respectable amount pocket springs, the Monza Pocket Sprung Reflex Foam Mattress can accommodate sleepers with an exceptional level of comfort and support as an equally exceptional pocket sprung mattress. As they move independently, the pocket springs within the Monza Pocket Sprung Reflex Foam Mattress can isolate any restless movements throughout the night. Also considerably effective as an orthopaedic mattress, the Monza Pocket Sprung Reflex Foam Mattress is rated as rather firm. 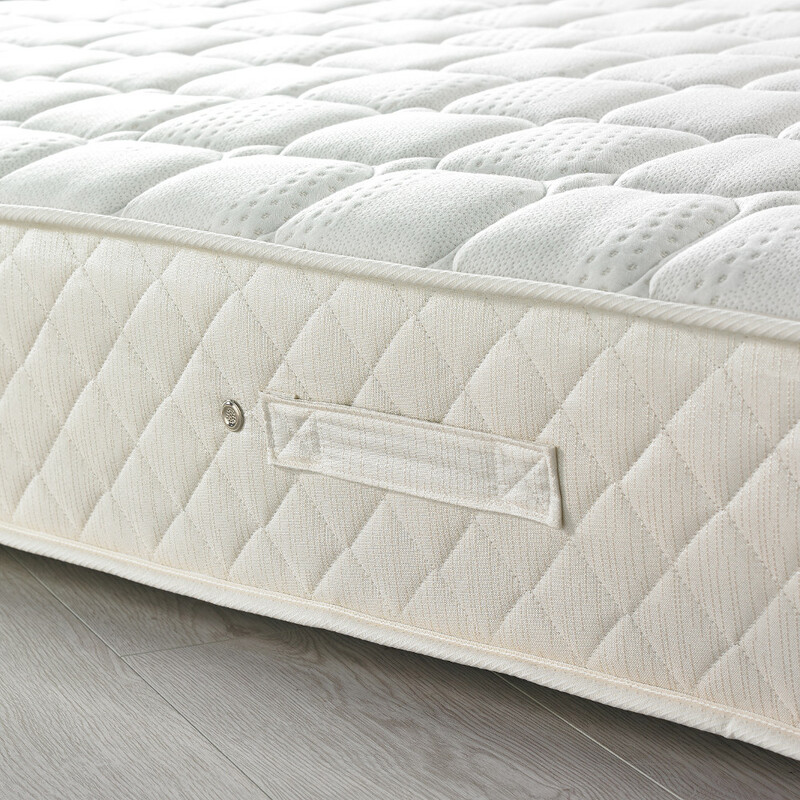 The Monza Pocket Sprung Reflex Foam Mattress is complete with some delightful finishing touches, such as the padded, quilted top that sports a charming squared pattern. The Monza Pocket Sprung Reflex Foam Mattress is easy to keep in great shape as well, only needing to be rotated once every six weeks. Note: Sizes and Weights are approximates and may vary slightly.